Lonna at FLYLēF and Alicia at A Kernel of Nonsense! I came across the challenge sign up for this on Twitter while I was shuffling through the crappy drama posts that took over last night - looking for the good things in life. While I am a newer blogger, this is something that I KNEW I wanted to do from the beginning when making my blog. I love connecting with other bloggers and sharing thoughts about the very thing that has brought all of us together. While I admit that I slip sometimes, I feel like this is an awesome way to help me stay on track! I noticed today was the last day to sign up for June - but they do this monthly, so be sure to check back to participate! You can click the image at the top of the page and it will take you to the sign up page! → This challenge will run June through August. → You are welcome to sign up for one, two, or all three months (a sign-up post will go up a month in advance for each month and will be open for three weeks). → Bloggers will be paired up for one month and will be required to comment on each other’s blog posts. → If you sign up for more than one month, you will have a different comment partner each month. → To allow a bit of freedom, you will be able to choose how often you would like to comment on your partner’s blog (options include 5-10 or 11-20 posts). → Social Media Option: If you’d like to give your partner further encouragement through social media, we will do our best to connect you with bloggers who are active on the same platforms. → Giveaway: at the end of August, we will be giving away two bookish prizes. Please note: this giveaway will only be open to participants. I am signing up to do all 3 months! I KNOW I can do this! I have also signed up to comment on 11-20 post for the month of June. I figured if I comment once a day, then I will go over that amount. I TRY and do that now to help reach out and meet new people! Good luck to all those who have signed up. We got this! Love your enthusiasm, and it is a great idea isn't it. Enjoy it and if you slip up well there is always the chance to get back up and carry on! I like your thinking! Thanks for stopping in! I signed up for the Commenting 365 Challenge at Read Write Love to comment on 365 blogs this year. While I know I have probably commented on far more blogs than any other year...I haven't really been keeping track, so I have no idea how many I've done. Oops! Commenting on other people's blogs is a great way to connect and hopefully doing this all month will help form some new friendships. I'm so glad you found some positivity on Twitter, it's been a strange couple of weeks on there. 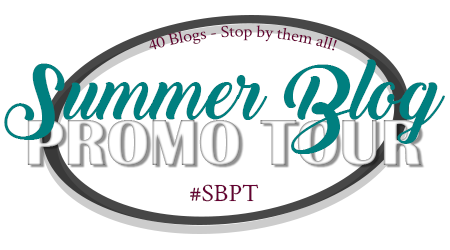 And welcome to the book blogging community :D Hope you enjoy the challenge all summer!